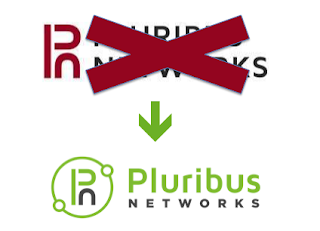 Fragmentation Needed: Pluribus Networks... Wait, where are we again? Pluribus Networks... Wait, where are we again? I was privileged to visit Pluribus Networks as a delegate at Network Field Day 16 a couple of weeks ago. Somebody else paid for the trip. Details here. Much has changed at Pluribus, I hardly recognized the place! I quite like Pluribus (their use of Solaris under their Netvisor switching OS got me right in the feels early on) so I'm happy to report that most of what's new looks like changes for the better. 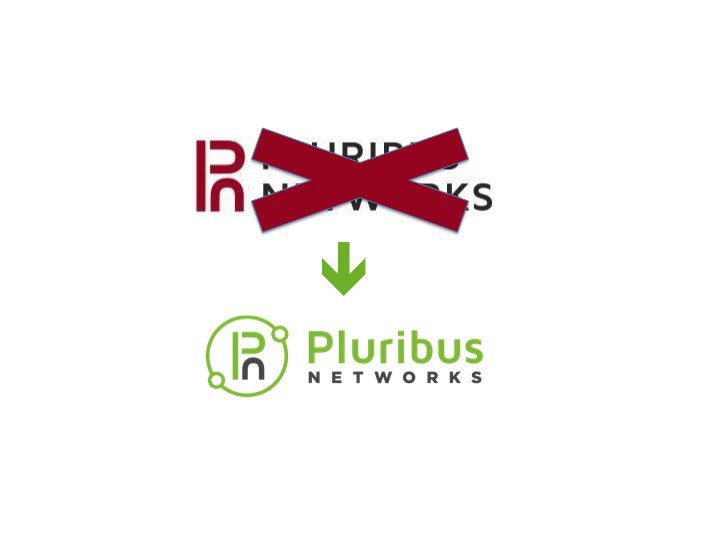 When we arrived at Pluribus HQ we were greeted by some new faces, a new logo, color scheme... Even new accent lighting in the demo area! Gone also are the Server Switches with their monstrous control planes (though still listed on the website, they weren't mentioned in the presentation), Solaris, and a partnership with Supermicro. This was probably inevitable, and likely matters little to Netvisor users. When Pluribus was first getting off the ground, I was waiting for an OpenSolaris release that never happened. That Pluribus stuck with Solaris for as long as they did while Oracle was dismantling the Solaris ecosystem is kind of incredible. Netvisor on Linux is fine, I'm sure. The big switches opened the door to some interesting possibilities, but likely made a tough sell to customers that just wanted an IP network fabric. Which is probably most customers. These days Pluribus is selling vanilla-looking Open Compute-friendly switches with ONIE, and supporting Netvisor on a handful of 3rd party whitebox platforms. Okay, quit laughing. The D-Link switch in question is Trident II based, just like (almost) every other switch in the market. If D-Link helps Pluribus move product, then I'm delighted for all involved. The only thing I don't like about the DXS-5000-54S is that it lacks an RS-232 port. USB console? Ugh. I'll run my Netvisors on something with a proper management interface, thankyouverymuch. Netvisor uses standard protocols to interact with neighboring devices, but you manage a Netvisor fabric as a single device. It's still got fantastic telemetry and flow analytics capabilities, even without the monstrous control plane. Some slightly outrageous claims were made in this area toward the end of the presentation, but we didn't have time to dig in. Individual nodes are managed in-band (via the front-panel interfaces, rather than the management LAN port). Incredibly this capability is not universal in this product space. Some platforms rely on the lone management Ethernet interface for fabric control purposes. This fact blows my mind. I'm similarly surprised that whitebox switches don't tend to come with redundant control plane paths. Maybe there's a single "eth0" port baked into the Trident chip for this purpose? Routing is performed by an anycast gateway. That is, moving packets from one broadcast domain to another does not require them to be hauled to a certain point in the fabric. Any Netvisor switch (the nearest Netvisor switch) will do the job. This is a welcome change. Members of a Netvisor fabric don't need to be cabled to one another. This opens the door to using Netvisor only at the leaf tier in a leaf/spine fabric... Or only at the spine... Or at both layers as a single large fabric... Or at both layers, but as two fabrics (one for leaf, one for spine)... Or as smaller deployment units in a huge fabric. Lots of possibilities here.